2 for 1 tickets to Sea Life Centres and other Merlin attractions in the UK are also being offered with selected Cadbury products. This is an offer on the packaging of these products and Tesco Clubcard vouchers can also be exchanged for tickets to Sea Life Centres. At Sea Life Brighton (I have been and it’s cool), they have plenty to keep you and your little ones entertained. The attraction is home to more than 3,500 stunning sea creatures including sharks, turtles, seahorses, rays and even an anaconda. Brighton offers the world’s oldest operating aquarium, open to visitors for more than 140 years. They have a a new Secrets of the Reef area, which launched earlier this year, where you can make like you are in the paradise of a Maldives reef and meet its most famous residents like the regal tang and clownfish. They also offer feeding demonstrations throughout the day, an interactive rock pool and a fantastic 360-degree Ocean Tunnel. 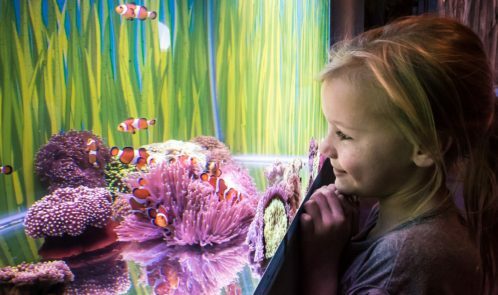 Plus, if you want a unique experience, at Sea Life Brighton the opportunity to witness the marine world from a glass-bottomed boat is on offer – in fact, they were the first aquarium in the UK to do so.